We’re all pattern-driven people. We have an expectation of what comes next while we go about our daily life. When we enter a grocery store to buy peanut butter, we look at the aisle signs, and we expect the peanut butter to be stocked next to jars of jelly. The same goes for taking part in a digital experience. When we visit a website, we expect our experience to be a certain way. For the website of a business-to-business (B2B) company, the forms of content that make up this digital experience are tried and true: blog posts, product pages, white papers, chat apps, infographics, etc. They all guide the user toward the primary conversion; often, it’s the user plunking down his or her name and email address in a contact form. For many companies, this works, but like Sara Hall from Harley & Co. mentioned at WebVisions Portland last year, breaking the pattern—be it with design, navigation or content—is an opportunity to introduce new ideas in a lasting way. Email drip campaigns are commonplace in B2B marketing strategies. They’re also the bane of the existence of many potential customers, cluttering up inboxes weeks, months, and even years after the user handed over an email address. 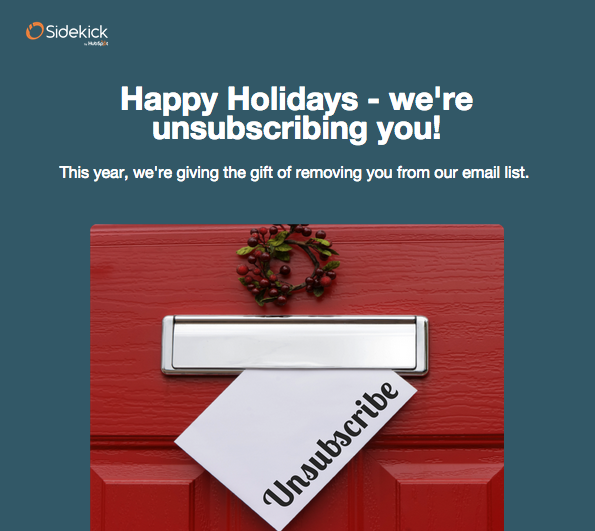 HubSpot’s Sidekick flipped the script: it automatically unsubscribes users who don’t view content from their twice-a-week Sidekick content newsletters. “Unless you click the blue button below, we’ll unsubscribe you from all future emails,” the email says. It’s the sort of email that might finally grab the attention of an otherwise lost lead. Or, if not, the lead wasn’t communicating in the first place, and it may be more efficient to spend time on more potentially fruitful leads. Autodesk breaks the pattern at the very top of the funnel: awareness. Line//Shape//Space gives businesses ideas and inspiration for drafting and design, and it’s grown to become a content authority in the industry. AutoDesk’s main intention with Line//Shape//Space is not to push users down the sales funnel to a conversion, but simply to get users engaging with them. The idea is that it’s better to have users engaged in your universe, even if it’s loosely connected to bottom line, than it is to have those users engaging with your industry elsewhere. As Contently points out, AutoDesk hit the perfect sweet spot of content marketing: broad enough to appeal to a wide audience, and narrow enough to know what Line//Shape//Space stands for. White papers and long reads aren’t for everyone. Even in the B2B world, there are people who would prefer taking a “Which Member of One Direction Are You?” quiz rather than read a New Yorker article. 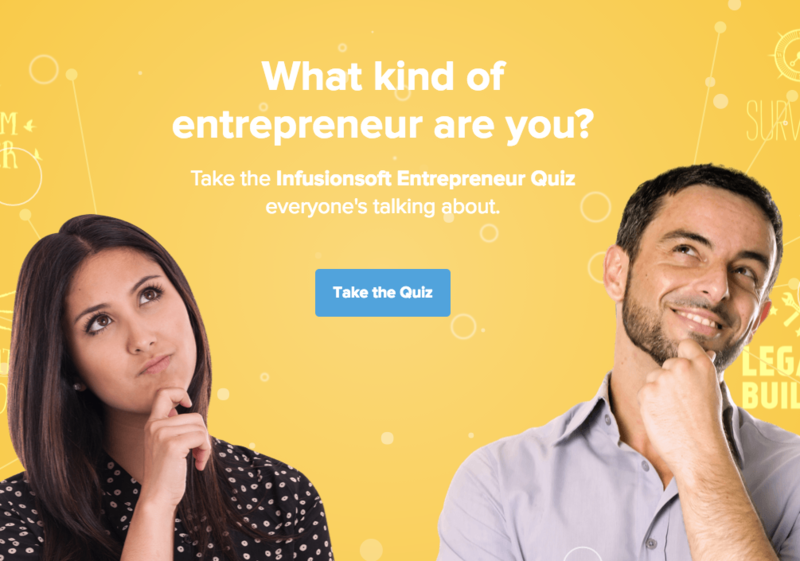 Proving B2B content doesn’t need to be yawn-inspiring, sales and marketing software company InfusionSoft created a “Which Entrepreneur Are You?” quiz to target small businesses. Next time you’re talking content marketing for your B2B company, think about what your users expect—and about what they don’t expect, which is to be automatically unsubscribed from an email newsletter, or to take a BuzzFeed-style quiz on a marketing automation website, or to read a blog post devoid of sales pressure. Is your business doing all it can to break the pattern and spark interest in your offering? Send us a tweet at @gravitatedesign if you see any other effective uses of breaking patterns in the B2B buying experience. You can also peruse some of the content on our most recent B2B client websites. We combine our capabilities with an iterative, refined process to launch innovative digital marketing solutions. We’re a team of brutally honest experts in strategy, marketing, content, design, and development.